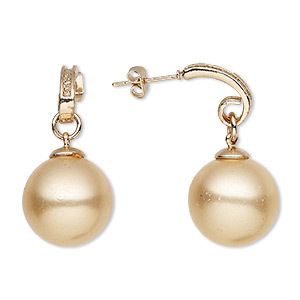 Earring, acrylic and gold-finished brass, gold, 1-1/3 inches with 15mm round and post. Sold per pair. 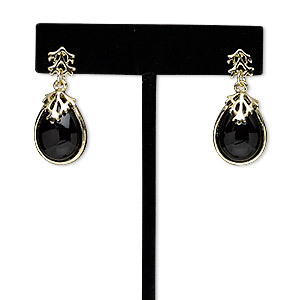 Item Number: H20-E6474CL Have a question about this item? 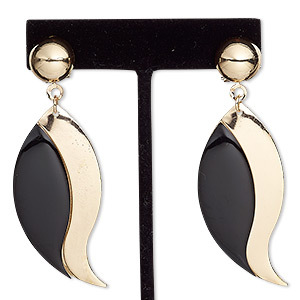 Earring, acrylic / steel / gold-finished "pewter" (zinc-based alloy), black, 33mm with teardrop and post. Sold per pair. 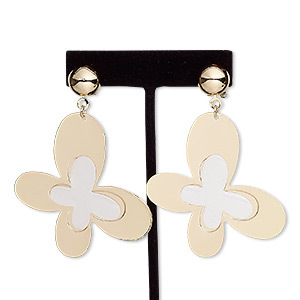 Earring, acrylic with gold-finished steel and "pewter" (zinc-based alloy), white, 1-1/2 inches with marquise and post. Sold per pair. 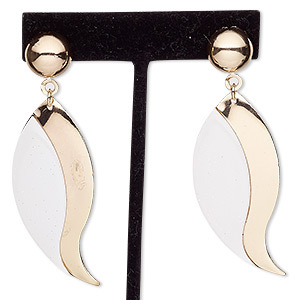 Earring, paper / acrylic / rose gold-finished steel, clear and black, 2-3/4 inches with curved teardrop and post with latch. Sold per pair. 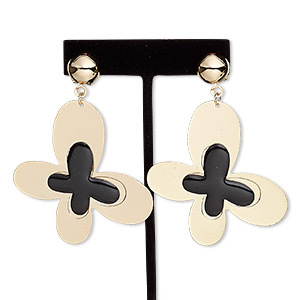 Earring, paper / acrylic / rose gold-finished steel, clear and black, 3 inches with butterfly and post with latch. Sold per pair. 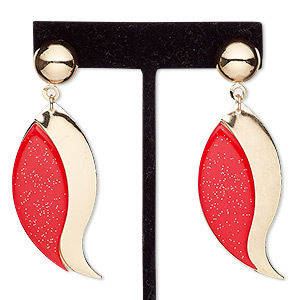 Earring, paper / acrylic / rose gold-finished steel, clear and red with silver-colored glitter, 2-3/4 inches with curved teardrop and post with latch. Sold per pair. 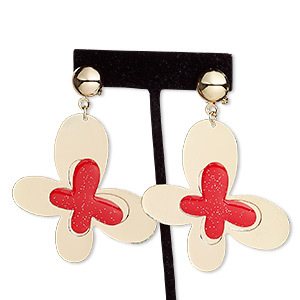 Earring, paper / acrylic / rose gold-finished steel, clear and red with silver-colored glitter, 3 inches with butterfly and post with latch. Sold per pair. 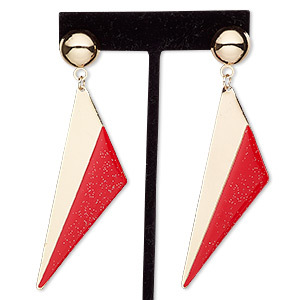 Earring, paper / acrylic / rose gold-finished steel, clear and red with silver-colored glitter, 3-1/2 inches with triangle and post with latch. Sold per pair. 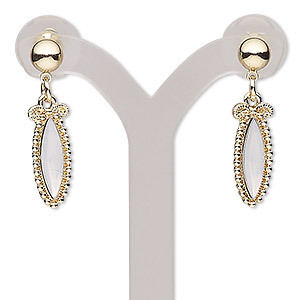 Earring, paper / acrylic / rose gold-finished steel, clear and white with silver-colored glitter, 2-3/4 inches with curved teardrop and post with latch. Sold per pair. Earring, paper / acrylic / rose gold-finished steel, clear and white with silver-colored glitter, 3 inches with butterfly and post with latch. Sold per pair. 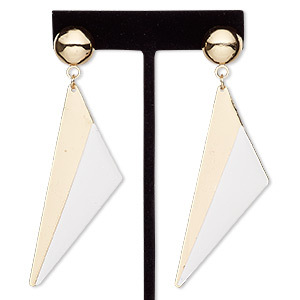 Earring, paper / acrylic / rose gold-finished steel, clear and white with silver-colored glitter, 3-1/2 inches with triangle and post with latch. Sold per pair.